What do you look for when you travel with your family? Is a pool and a play area a requirement or do you just prefer a warm, safe place to sleep so that you can be fresh and ready to explore the local attractions the next day? We found the best of both worlds at Aan de Vliet in Mpumalanga. 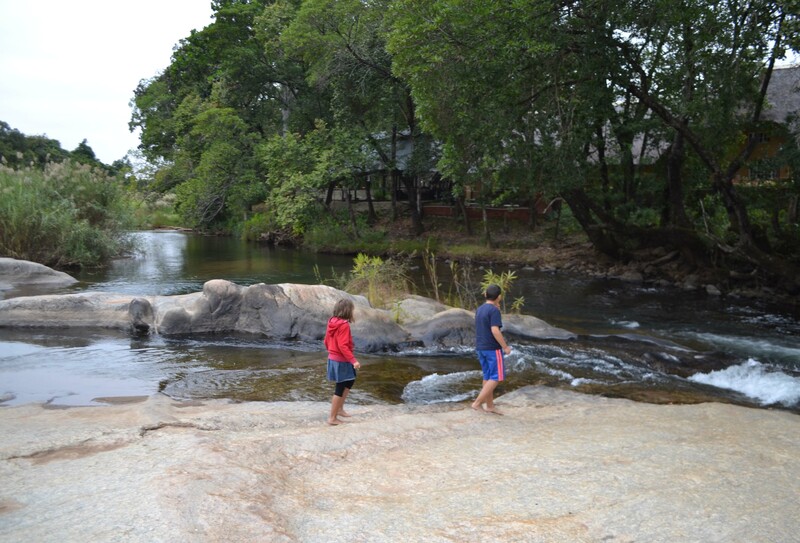 It’s located just 8 kilometers from Hazyview and 20 kilometers away from the Kruger National Park’s Paul Kruger gate. We found that we could easily drive to Mac Mac Falls in just over 30 minutes, while God’s Window was under at hour away. Blyde River Canyon is about 90 minutes away but Kruger is literally just down the road. Mpumalanga is flippen gorgeous! I have NO idea. It is green and lush and so quiet. There are a wealth of touristy things to do but if you just want to relax by the pool, you can do that too. If you’re more of a 5000 star hotel kind of person and prefer camping, you’ll be pleased to know that self catering rondawels aren’t your only option. Just before we left, a group of campers arrived and they set themselves up in a camping circle. They were kitted out with camping lights, chairs, tables, tents and caravans. It is clearly a very popular spot and it was easy to see why.